Myopia also is known as short-sightedness, while Hyperopia is also known as long-sightedness. These are the defects of vision of an eye in which a person is unable to see the near by or distant objects. The condition in which the person is not able to see the distant object is known as myopia or short-sightedness. Although long-sightedness is opposite to that of earlier given condition, as in this the person is not able to the nearby objects. There are other vision problems also like astigmatism, presbyopia, but the maximum number of people suffer from myopia and hyperopia. These defects can occur at any stage of life, in which the shape of the eye get altered, and thus it hinders the light to focus on the retina. These are also known as ‘refractive errors or defects‘. 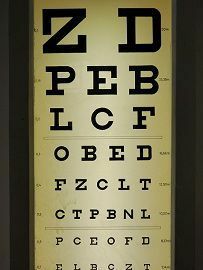 These can be corrected by using spectacles or lenses. These errors can be prevented by following some basic measures. Though these errors do not lead to blindness or cancer but may result in widespread destruction. At this moment we will discuss the difference between both types of the eye condition, along with brief description. sightedness. The problem when the distant objects are clearly visible than the nearby objects is known as long-sightedness, far-sightedness or hyperopia. Causes When the eyeball gets elongated, or the cornea is curved, there is reduction in the focal length of the eye lens, resulting in the diversion of the light rays from the surface of the retina. When the eyeball gets flattened or short, there is increase in focal length of the eye lens, which prevents the light rays to directly focus on retina. while distant objects are visible. Shape of the eyeball The eyeball is too long, and thus it prevents the light rays to focus on the retina directly. The eyeball is too short and thus prevent the light rays to focus on retina directly. Other risk factors Environmental factors - sunlight, harmful radiation, hereditary, age factor, and also working continuously on computers, laptops may support in the development of myopia. Age factor, the birth defect of a short eyeball, due to a weakening of the ciliary muscles, diabetes. Treatment Myopia can be treated by using the concave lens of appropriate focal length. Hyperopia can be treated by using the convex lens of appropriate focal length. Associated complications Myopia may develop into glaucoma and cataract. Hyperopia has rare complications like amblyopia and strabismus. At the young age, hyperopia may cause the problem of double vision which results in 'over-focusing' to the patient. Myopia is also as near-sightedness or short-sightedness. In this, the person is unable to see the distant objects clearly, whereas the closer objects are easily visible as they are. Headaches, squinting, eye strain are the common symptoms of myopia. While other risk factors are exposure to sunlight and other harmful rays, it can be hereditary, time spent in reading, working on computers, laptops, tabs, or mobile phones may contribute to the development of myopia. Other post affects due to short-sightedness are glaucoma, cataracts, retinal detachment. It is the refractive error, where the image is formed in front of the retina as the length of the eyeball is long and thus resulting in the blurry vision of the distant objects. The treatment is manageable by using lenses (concave lenses), spectacles or surgery. It is believed that the chances of occurring short-sightedness decrease, if the young children spent their maximum time outside, which will provide exposure to the natural light. Although using eyeglasses is considered as the safest and easiest way of correction, as using contact lenses increase the risk of infection, while the shape of the cornea changes in case of refractive surgery. In myopia, the glasses or contact lens prescribed is a negative number like -2.00, -3.00. It also says that the higher the number, the stronger the lenses will be. But in the case of short-sightedness, the refractive surgery is in trend, and it is believed that it eliminates or reduces the dependency on contact lenses or spectacles. Some most common procedures followed in myopia with the laser are laser- assisted in situ keratomileusis (LASIK), corneal rings, photorefractive keratectomy (PRK). Hyperopia is also known as far sightedness or long-sightedness. The word hyperopia derived from the Greek word where hyper means “over” and ops means “sight“. So as the name suggests the suffered person is not able to view closer objects clearly, resulting in blurry vision but the distant objects are clearly visible and normal as they are. When the condition gets worsen the objects at all distances becomes blurry. Symptoms include a headache, eye strain, squinting, accommodative dysfunction, amblyopia, binocular dysfunction, and strabismus. This defect occurs due to the short eyeball, imperfection of the eyes, abnormal shape of the cornea, weakening of the ciliary muscles. Other risk factors like diabetes, certain kind of medications, family history also play a significant role, sometimes far-sightedness is present since the birth of the child. It is also the refractive error, where the image formed is behind the retina. The treatment is manageable by using contact lenses (convex lenses), eyeglasses or surgery. Hyperopia mainly affects the people after the age of 40, but it is also noticed in children at the age of 6 and 15 also. Clinically hyperopia is classified in three categories: Simple hyperopia, Pathological hyperopia, and Functional hyperopia. Apart from them, the other three categories are the Low, Moderate and High type. In low hyperopia, the refractive error is less than or equal to +2.00 diopters (D). In moderate hyperopia, it is less than or equal to +2.00 D to 5.00 D, while in high type the refractive error is greater than +5.00 D.
Myopia or short-sightedness is the most common vision problem where the closer objects are easy to see, while further objects are blurry, while in hyperopia or long-sightedness the distant objects are clearly visible than the near-by objects. The incoming light rays do not directly focus on the retina, rather in front of it. This results in the blurry vision of the distant objects, whereas closer objects are clearly visible in case of short-sightedness. Whereas in hyperopia the incoming diverging light rays do not focus directly on the retina, rather behind it. This result in the blurry vision of the near-by objects, while distant objects are clearly visible. The shape of the eyeball is too long and thus preventing the light rays to focus on the retina in myopia, on the contrary, the eyeball is too short and thus preventing the light rays to focus on the retina in case of long-sightedness. Other risk factors in myopia are the environmental factors – sunlight, harmful radiation, hereditary, age factor, and also working continuously on computers, laptops may support in the development of myopia, while age factor, congenital disability of short eyeball, due to weakening of the ciliary muscles, diabetes, are the risk factors of hyperopia. Myopia can be treated by using the concave lens of proper focal length, but in hyperopia, the convex lens of proper focal length is used for the treatment. Symptoms: A headache, squinting, eye strain, problem in vision (far or near, even sometimes both). Diagnosis: Eye exam (visual acuity test), followed by retinoscope. Common treatment: Eye glasses (spectacles), eye surgery, contact lenses. The common vision problems involve myopia or short-sightedness and hyperopia or long-sightedness, in this, the person faces the problems in visualizing the distant or near-by objects respectively. There are many reasons for these eye defects; some are true while other are myths. But the main reason is the shape of the eye ball, which is either too long in case of myopia or it can be too short in case of hyperopia. Thus resulting in the blurry vision. We also discuss the ways to treat them along with the diagnosis. These are not life threatening but may lead to blindness in some severe cases.